It’s tough to be always on the go. But after months of not eating a healthy breakfast, drinking cans of soda and gulping down sugary cereal or pastry, the spikes of blood glucose with up and down surges of insulin only leaves you feeling hungry, tired and weak. That’s why you should know about these top 10 superfoods. And include them in your diet every day. Think of them for your favorite superfood recipes for those crazy days. 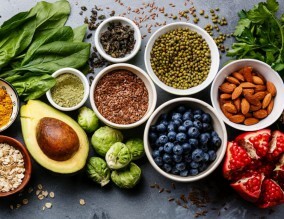 This entry was posted in Health & Wellness and tagged Best Superfoods, superfoods, top 10 superfoods on January 10, 2019 by Healthy Living Guide.